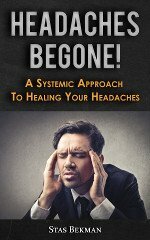 "As regards the general symptoms of the disease already enumerated (most of which were referable to the nervous system), they gradually diminished, and at length completely disappeared within a fortnight, and were succeeded by a feeling of perfect health, accompanied by profound refreshing sleep at night. The lethargy too completely disappeared. "One of the most remarkable changes produced in the patient's condition was the restoration of his strength; at the end of a month he walked seven miles without once resting, and without fatigue or subsequent injury; his diet having been all the while exclusively skim-milk, as already stated. "At the commencement of the treatment the patient was flabby, and inclining towards obesity; but two months afterwards his flesh was firm and compact, his features presenting a ruddy healthy hue, instead of his previous yellow, pasty look; his gums and teeth regained their firmness. "As already stated, the skim-milk treatment was continued for five weeks. At the end of this period from two to three pints of the daily allowance of milk, (from eight to ten pints), were converted into curd by the use of Proctor's essence of rennet; this curd was taken at two meals, and it assisted materially in filling the stomach, and was thus very grateful to the patient. This slight change was continued two weeks; but, as it was a mere modification of the milk diet, the latter may be said to have extended over a period of seven weeks. "At the end of seven weeks,and as an addition to the milk and curd diet, still continued, a dinner was allowed, consisting of about three quarters of a pound of beef or mutton roasted, or chop or steak, with a moderate quantity of green vegetables (cabbage, greens, lettuce, spinach, etc.) This change of diet did not cause any return of the sugar in the urine, but contributed much to increase the strength of the patient, and was very grateful to his appetite. "Since the disappearance of the disease, on the 28th June, up to the present time (January, 1871), a period of more than six months, the patient has continued and still continues in excellent health, and sugar is still absent from his urine, which is subjected to a weekly examination. Additions have been made to his diet, but all articles containing starch and sugar have been excluded as far as practicable. At present he is taking the following diet daily: For breakfast, half a pound of mutton chop, a pint of milk, and about half a pint of coffee. For lunch: half a pound of potted head or potted meat, and a pint of milk. For dinner: about three-quarters of a pound of roast beef or mutton chop or steak, fowl or turkey, with green vegetables, (Brussels sprouts, cabbage, etc.) After dinner, up to bedtime, tea and a liberal quantity of milk are taken. Six pints of milk are consumed daily; from this the greater portion of the cream has been separated. Under this diet the health of the patient is excellent, and he has gained considerably in healthy flesh, the obesity and flabbiness having quite disappeared. This dietary will be continued for some time longer, until it is considered safe to introduce articles of diet containing starch or sugar." Dr. Watson says: "Opium is a treasure to us in this disorder. It quiets the nervous irritability of the patient, allays many of his most distressing sensations, and restrains in a remarkable degree the excessive flow from the kidneys. But you must not suppose, from observing these favorable changes, that you are curing the disease by it. It seems to control the diuretic influence of the sugar in the blood, but it does not banish the sugar itself. Such at least is the witness of my own experience. Dr. Pavey has, however, expressed of late his belief that Opium exerts a direct remedial effect upon the actual disease. Diabetic patients bear large doses of Opium uncommonly well. I had the opportunity of seeing one of Dr. Pavey's patients who was cured, apparently, by Opium alone; while she was using, without any restraint, her ordinary diet. The Opium was given in gradually increasing doses till she took nine grains daily. At length the sugar disappeared permanently from her urine. She belonged, however, to the class in which the disease is mostly found to be the least serious, and the most tractable, for she was sixty years old. In younger persons, whose cases are generally more formidable, he recommends-and I think the recommendation a good one-that the sugar should first be reduced as much as possible by a regulated system of diet, and that Opium should then be given with the hope of removing it altogether." If it is necessary to give Opium in "nine grain doses," or nine grains daily, the remedy must be almost as bad as the disease; a patient must have taken the drug for a long time before she could bear such large doses; and after reaching nine grains daily, it is doubtful if she could ever give it over. All the Cabbage Tribe: Cabbage, Cauliflower, Brocoli, Borecole, Scotch Kale,Brussels sprouts, Sea kale,Cardoons,Portugal Cabbage, Spinach, French Beans, Artichokes, Cucumber, with Oil, Asparagus, Onions, Leeks, Mushrooms, Truffles, Lettuce, Endive, and all varieties of Cress, Italian or Corn Salad, American and Water Cress. All kinds of acid fruits; as a substitute for wheaten bread, Gluten Bread, Bran Bread, Bran Biscuits, Brown Bread, cut thin and toasted, may be allowed. Every form of Vegetable Food containing Flour [Farina], Starch, Dextrine, or Sugar. All articles made from Wheat Flour, Bread, Biscuits, Pastry, Oatmeal, Peas, Beans, Haricots, Lentils, Rice, Sago, Tapioca, Arrow-root, Semolina, Revalenta, Potatoes, Yams, Carrots, Turnips, Radishes, Parsnips, Macaroni, except with Cheese, Vermicelli, Cocoa, Chocolate, all Fruits rich in Sugar. The Food of the Diabetic Patient should be, as much as possible, selected from the Animal Kingdom. All kinds of Meat; all kinds of Game; all kinds of Poultry; all kinds of Fish and shell Fish. Eggs of every variety that are eatable. Cheese in every form and variety. The curds of Milk. No article of Food derived from the Animal Kingdom is forbidden in Diabetes. All the Bordeaux Wines. All the Rhine Wines. Every variety of Hock. Brandy, Whiskey, Gin unsweetened, Rum, Hollands, Tea, Coffee, without Sugar, but with Cream ad libitum. Soda, Seltzer, Vichy, and similar Waters. All varieties of Beer, Ale, Stout, Porter, Sweet Cider, all Homemade or Sweet Wines, Port, Sherry, Madeira, Champagne, if sweet, Sparkling Moselle, Sparkling Hock, Sparkling Burgundy. The whole surface of the body should be clothed with flannel, winter and summer.